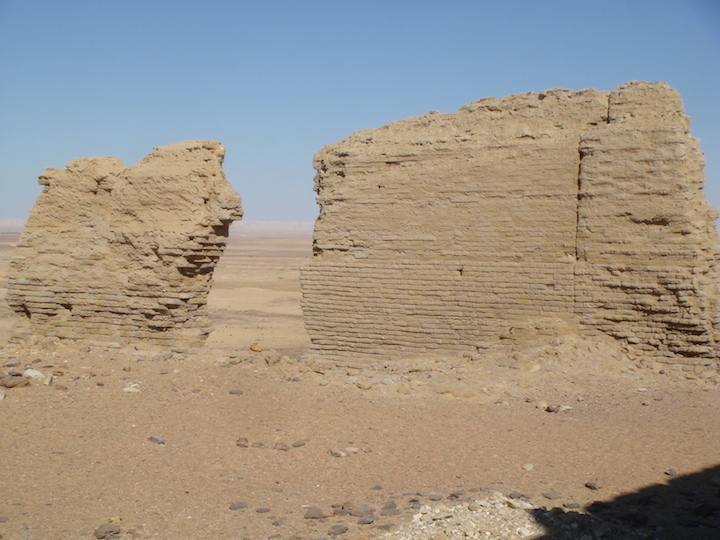 Third site to visit on my Oasis trip 17th Feb’14. 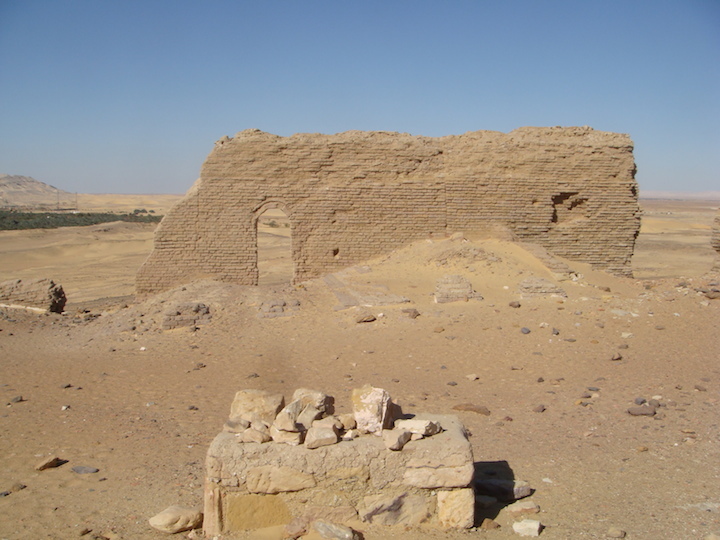 The Temple of Nadura (The Lookout) is centered within a Roman fortification and is strategically perched high on a hilltop about 1.5km northeast of the centre of el-Kharga. From the top of the hill there are wonderful views over the Oasis with the Hibis Temple and the necropolis of el-Bagawat cemetery seen in the distance. 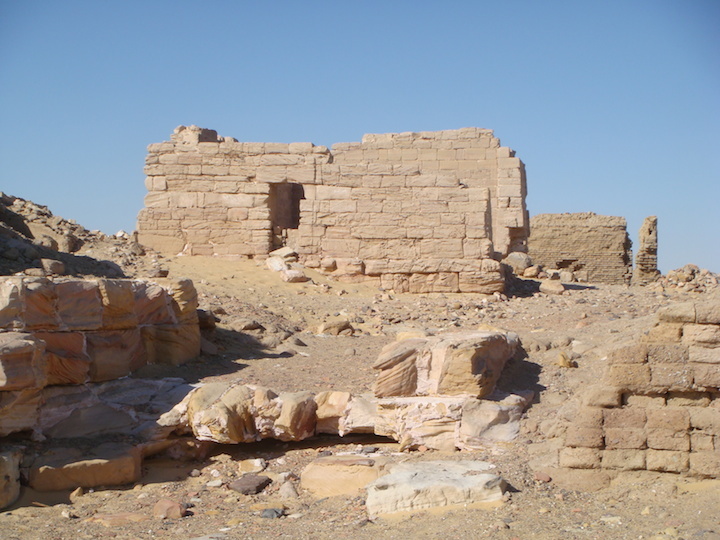 The settlement of Nadura is now buried and the two temples of the village are nothing more than ruins, the southern entrance wall of the main temple can still be seen on top of the hill. 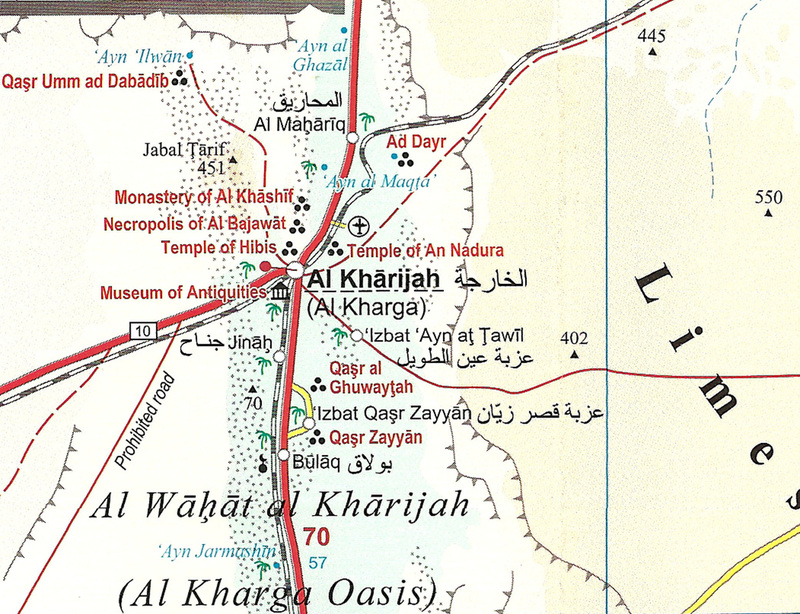 During the 2nd century AD. 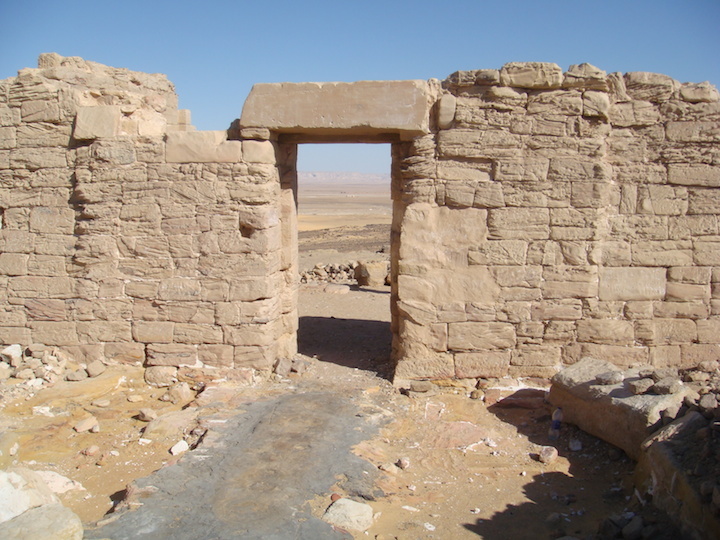 A sandstone gate in the southern enclosure wall fronts a courtyard, which contained the three rooms of the temple. 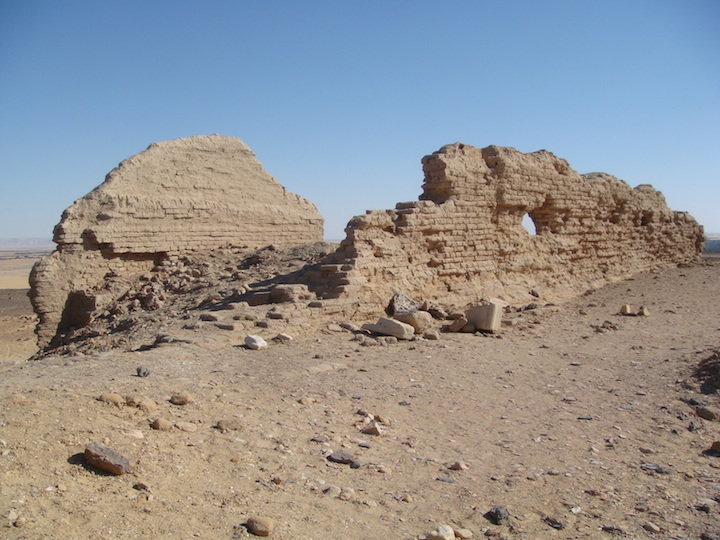 There is a smaller entrance at the northern wall. 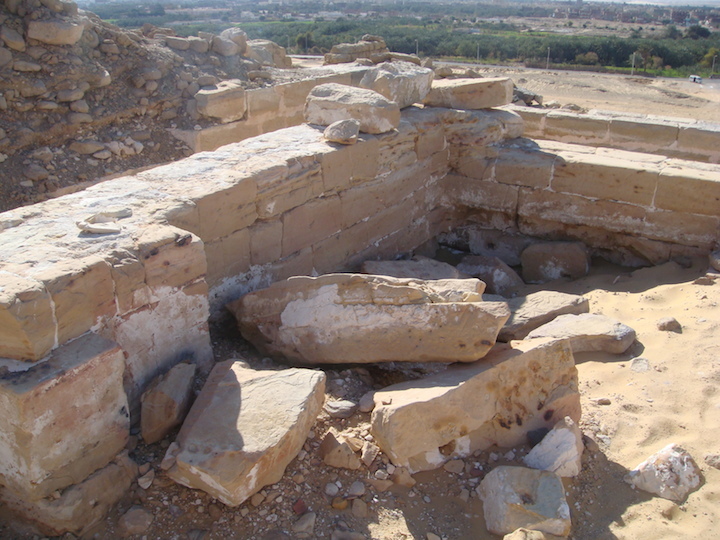 The remains of the Pronaos on the western side of the structure can still be seen; the vestibule and the sanctuary have now all but disappeared, buried by sand. 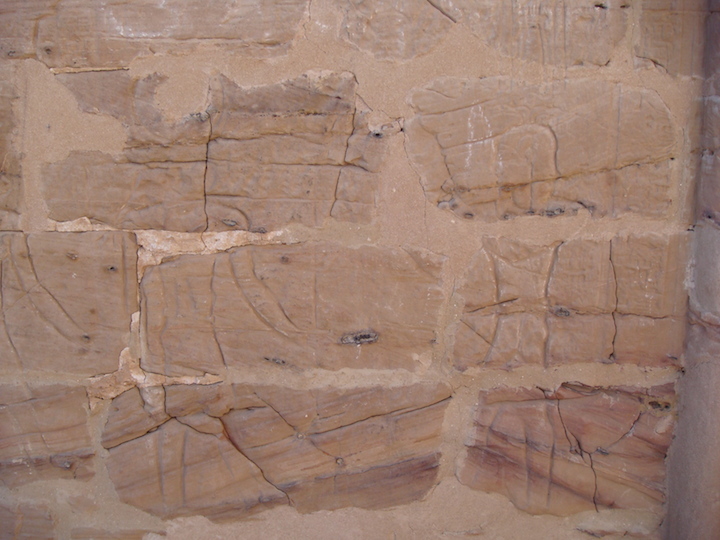 The façade of the Pronaos, typical of the period, had screen walls linked by columns and is decorated inside with figures and hieroglyphic texts. 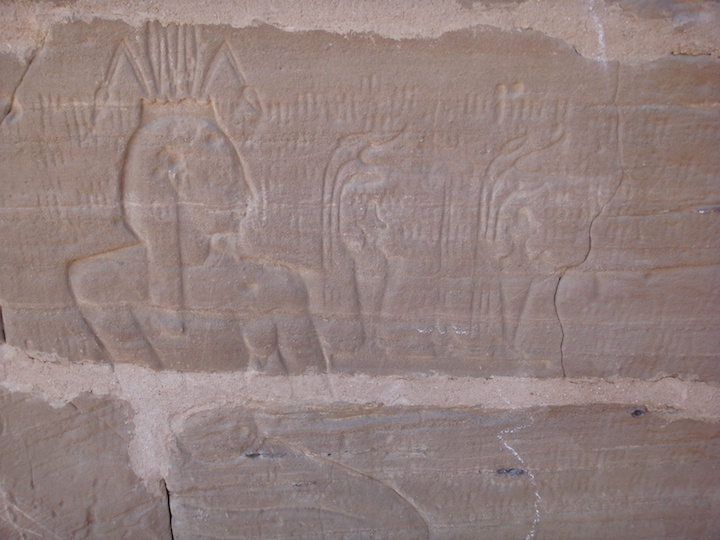 There are also paintings of female musicians playing percussion instruments; this indicates that a goddess was worshipped here. 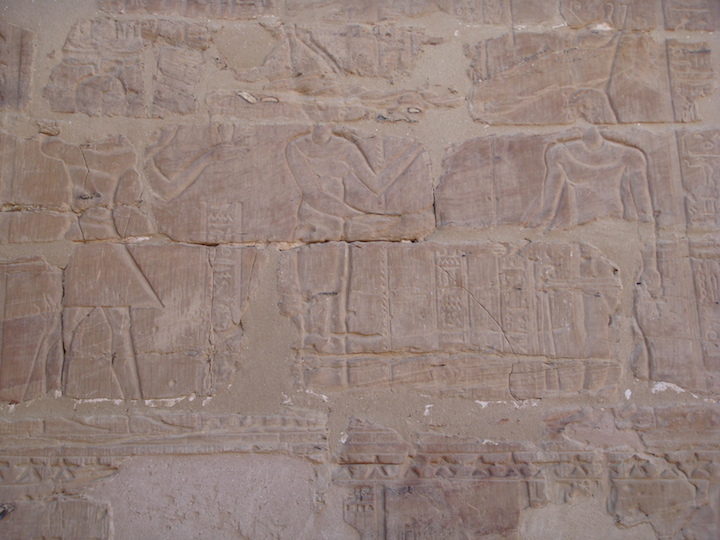 It has been suggestions that the goddess Mut was the temple’s main deity as she appears in several reliefs, as does Amun, Khonsu, Ihy, Thoth and Bes. 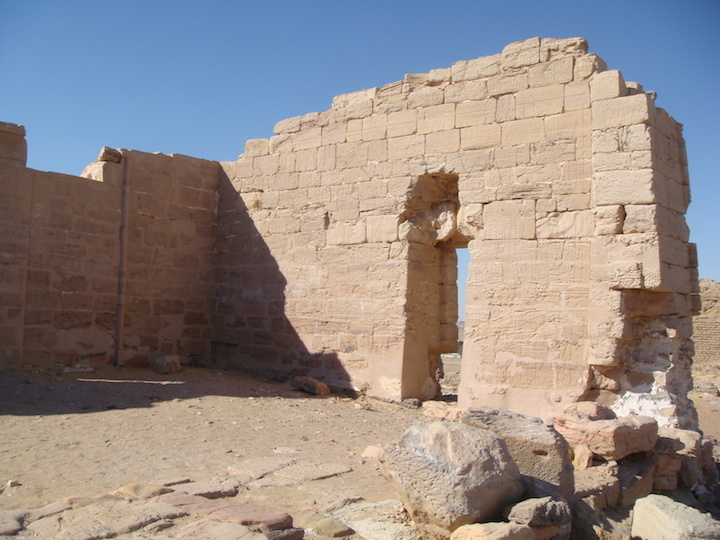 A Coptic church once stood outside the temple and the whole structure was later reused as a Turkish fortress during the Mamaluk and Ottoman Periods. The remains of the second uninscribed temple lie at the bottom of the hill towards the main road. Near the temple lies a semi-troglodyte village. 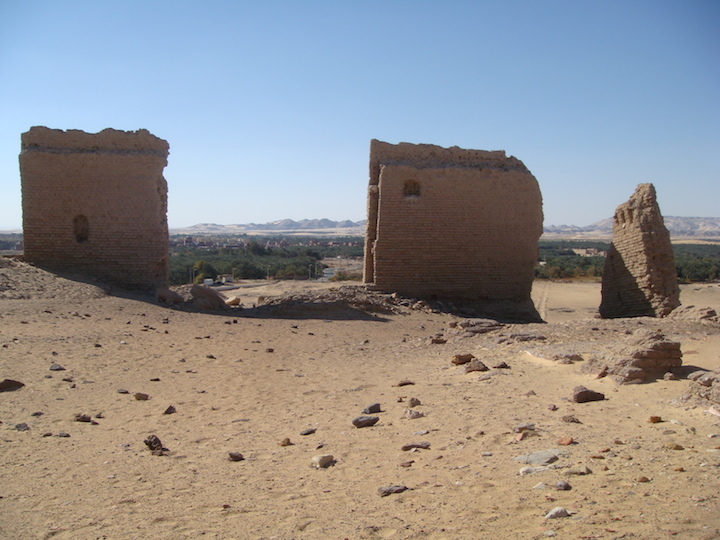 The inhabitants built mud-brick houses, with cellars underground. 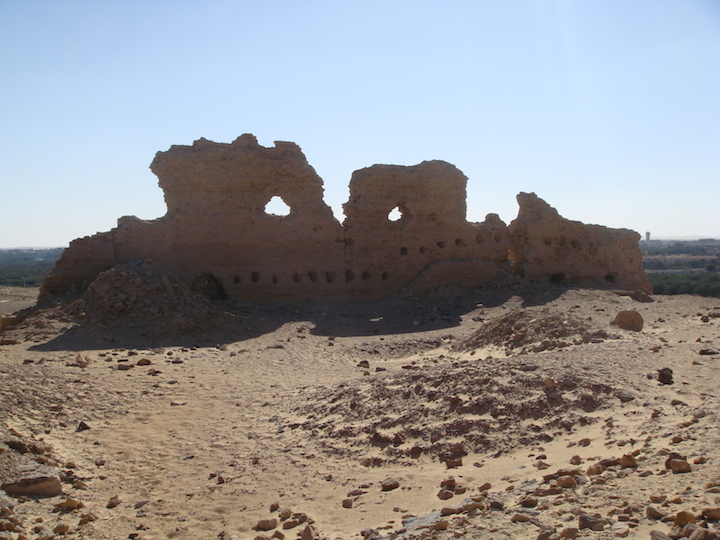 The purpose of this sort of structure, found all over North Africa, was to escape the worst of the heat in summer time. 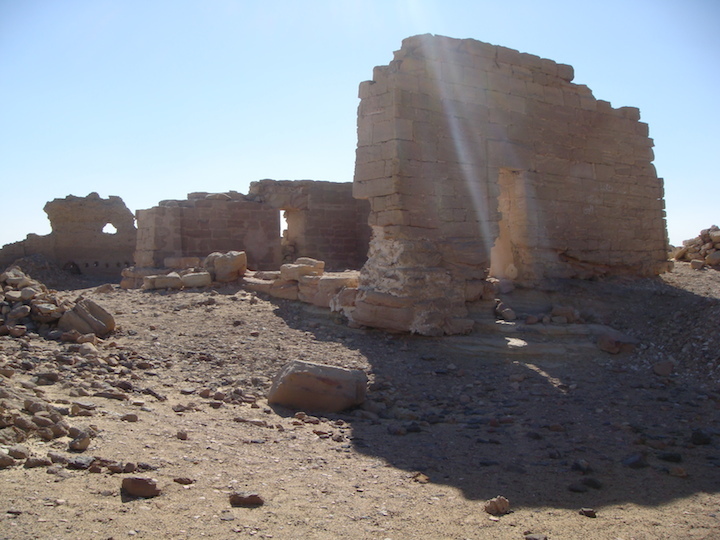 Getting There: Nadura is southeast of the Temple of Hibis and 1.5 kilometres (1 mile) north of the tourist information office at Qasr Kharga. Turn right (south) on the paved road and park at the base of the mountain.